The premiere night of Ken Burns's critically acclaimed THE ROOSEVELTS: AN INTIMATE HISTORY earned a 5.8 rating on Sunday, September 14. 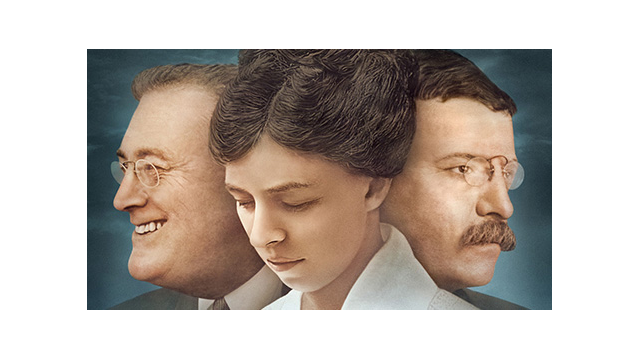 An average audience of 9.06 million viewers joined Theodore, Franklin and Eleanor Roosevelt for the first chapter of the family saga, which continues at 8/7c through Saturday, September 20 on PBS stations (Nielsen Fast National data – Live+SD). "We are thrilled that so many viewers tuned in to see this compelling American family drama," said Beth Hoppe, Chief Programming Executive and General Manager, General Audience Programming, PBS. "The impact the Roosevelt family had on our country is tremendous, and audiences want to see their history told by our nation's pre-eminent storyteller." Beginning today, the full 14-hour series is available for free streaming through PBS stations’ video sites, pbs.org/theroosevelts, and PBS station branded digital platforms, including ROKU and Apple TV, and will be available for two weeks, through September 29th. Before the premiere, more than 200,000 views of preview videos hinted at a demand for the series. Roosevelts-related posts trended nationally on both Twitter and Facebook on Sunday, and the Roosevelts themselves have also taken to social media via the PBS Twitter account. On Sunday, "Theodore" shared his thoughts through the digital bully pulpit, and his cousins will take over in the coming days. For historical comparisons, using Nielsen overnights data only, THE ROOSEVELTS 4.5 overnights rating from 8:00-10:00 p.m. ET is the highest-rated premiere for a Ken Burns film since 2007's THE WAR, which debuted to a 5.0 overnight rating. Other recent premiere ratings include 2011's PROHIBITION (2.6 overnight) and 2012's THE DUST BOWL (3.0 overnight) (Nielsen Station Index, Live+Same Day metered market ratings).